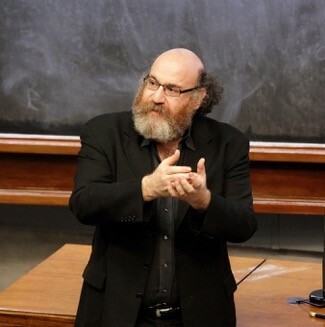 General Physics Colloquium, Professor William Bialek, Princeton University. Refreshments from 3:30-3:50 pm. Title: Are Biological Networks Poised at Criticality? Abstract: Many of life’s most fascinating phenomena emerge from interactions among many elements – many amino acids determine the structure of a single protein, many genes determine the fate of a cell, many neurons are involved in shaping our thoughts and memories. Physicists have long hoped that these collective behaviors could be described using the ideas and methods of statistical mechanics. In the past few years, new, larger scale experiments have made it possible to construct statistical mechanics models of biological systems directly from real data. I’ll describe the surprising successes of this “inverse” approach, using examples from families of proteins, networks of neurons, and flocks of birds. Remarkably, in all these cases the models that emerge from the data are poised at a very special point in their parameter space – a critical point. This suggests there may be some deeper theoretical principle behind the behavior of these diverse systems.